For our Interaction Design Practice course we were challenged to create a multiple choice quiz feedback and answer system for the Palm Pre. The challenge was focused on submitting an answer(s), providing feedback on the answer(s) submitted, displaying the correct answer(s), as well as providing an explanation of the answer when needed. For this challenge we were given about a week to come up with a design and present our design to the class. Our team started by researching the Palm Pre, available applications and functionality, and creating personas. 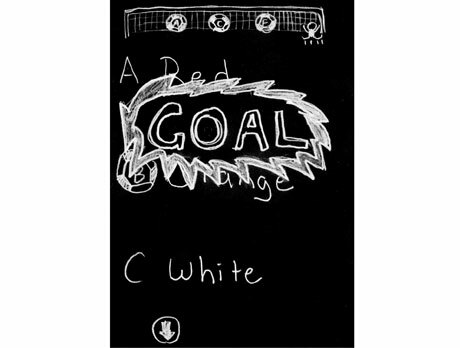 We ideated and quickly sketched out ideas using a whiteboard. Through our personas we decided that we really wanted our design to be enjoyable to use, perhaps even fun. Once we developed a design we began prototyping it using paper and a cardboard cutout of a Palm Pre. The design was then tested by subjects within our target audience. After finding a couple of usability problems from our evaluation, we redesigned the application and sketched out our new design. 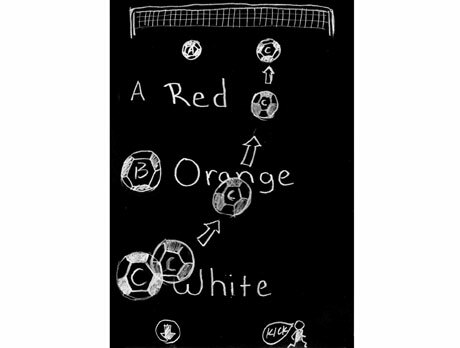 Our final concept uses a soccer metaphor to bring enjoyment to the design. 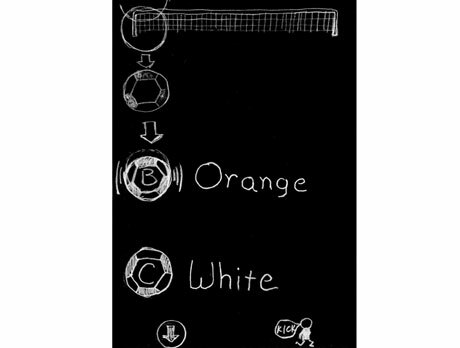 Animation occurs throughout the design bringing joy to those who use it. 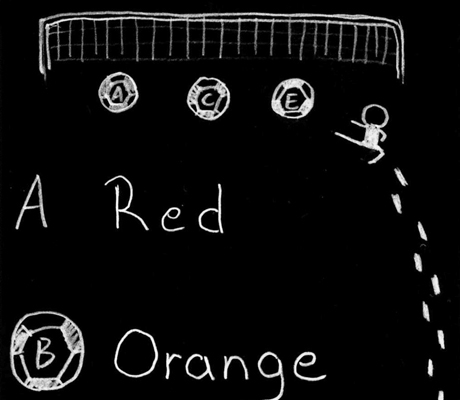 Answers are selected by flicking an answer choice ball towards the goal net at the top of the screen. 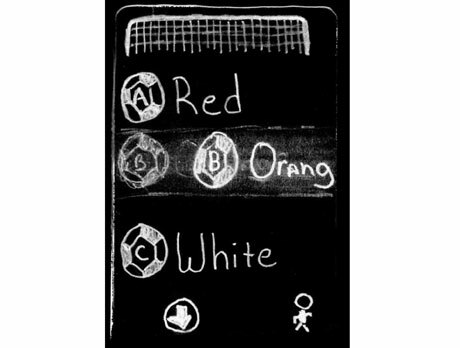 Answers are submitted by flicking a soccer play towards the goal net; this was modeled heavily on the ‘unlock’ screen on the Palm Pre. 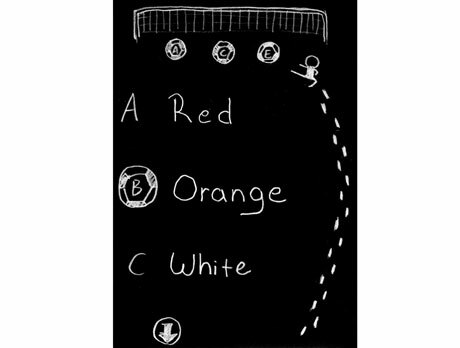 Quiz takers are then alerted to the correctness of their submission with either a “Goal” display popping up or by the incorrect answer balls dropping back down into place. 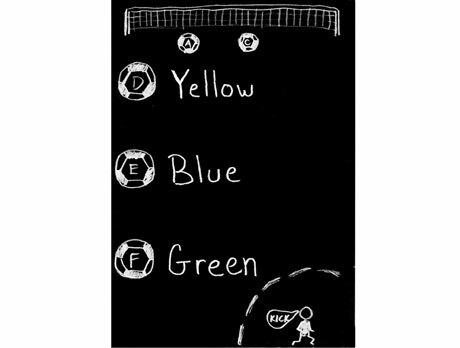 Explanation is provided via an overlay (sitting on top of the goal net) upon submission of answers. 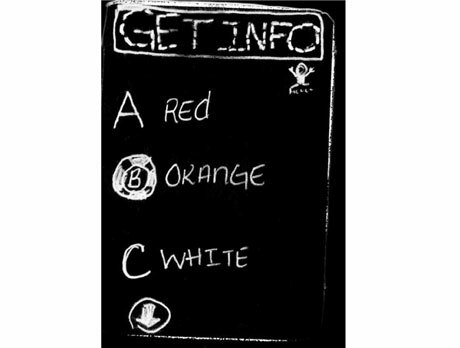 Quiz takers can also ‘cross out’ an answer choice, as many do during physical tests, by swiping the answer choice off to the right of the screen. This choice then moves down to the bottom of the answer choices and is grayed out, but remains submitable.